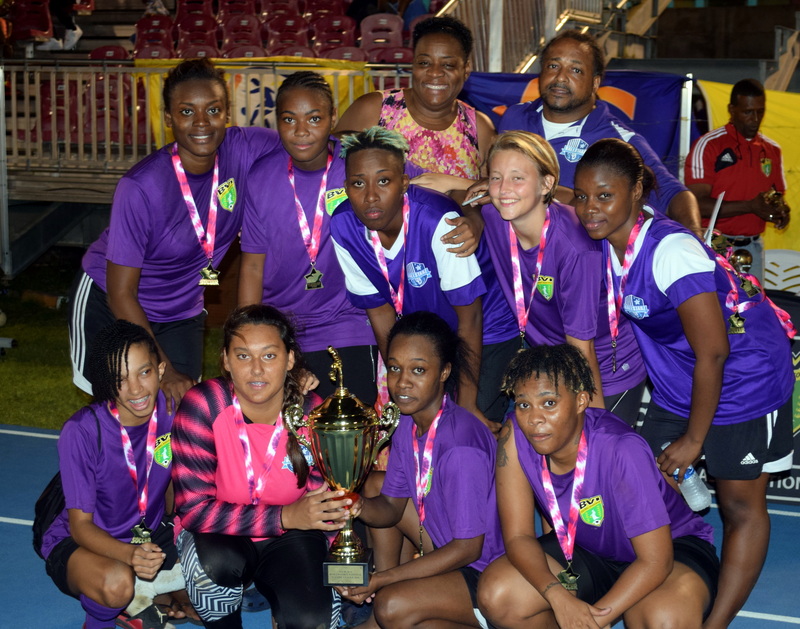 Playing with discipline and quick ball movement the Ballstarz raced into a 2-0 lead, when first MVP, Philia James reacted first to a lose ball in the penalty box and then Morgan Creque doubled the advantage in just the 17th minute. James scored her second and the Ballstarz third before half time with a powerful volley from the edge of the box. VG regrouped at the break and hit back with two goals from Kezia Gumbs, but were cut off in their comeback by an own goal and then being caught out on fast breaks, pushing forward in search of more goals, first by a wonderful Murcella Gordon free kick and then by Lilly Pierce, which saw the final score 6-2. Having Murcella Gordon back in action was a major factor in the Ballstarz victory as she slowed play down and spreaded passes wide, giving Mark a much-needed calm influence in midfield. Pierce was a constant threat down the left and right flanks, but VG, showed by a strong second half performance, that they will be better for the experience and be back even stronger in 2017. 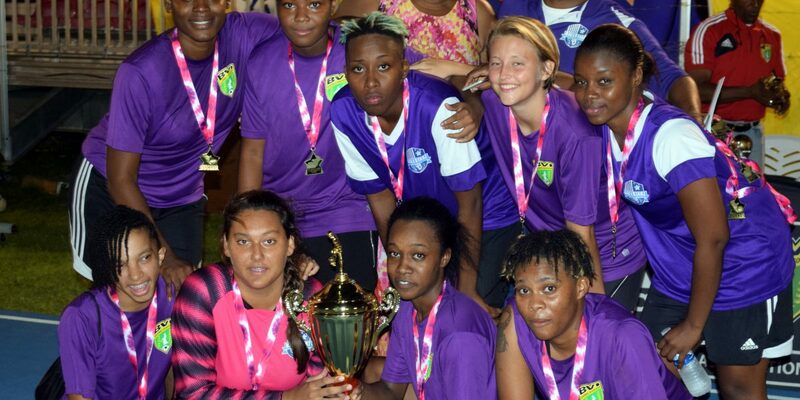 At the Awards Presentation, not only did the FA’s Women Committee present Ms. Gloria Fahie, President of the BVI Cancer Society a cheque for $1,000, but also honored Brittney Peters as the Golden Boot winner, Kimberley Howell as Golden Glove, James as MVP, but also presented VG Utd with the Presidents “CAPS” Award, an Annual Fairplay Trophy. The Avengers finished in third place and the Ballstarz avowed to donate $500 of their $1500 winner’s check to the Cancer Society.